Established in July 2015, the London South Bank Innovation Centre (LSBIC) specialises in developing mobile robots that provide access to very large, vertical, safety-critical structures to deploy a range of non-destructive testing (NDT) techniques. LSBIC collaborates with TWI Ltd, the National Structural Integrity Research Centre (NSIRC) and London South Bank University (LSBU). The Centre performs research and development of Automated NDT in the TRL1-3 region to underpin the work of TWI to its 700 industrial members and identify their future needs. Other objectives include the development of intelligent automated NDT to improve the quality and probability of defect detection and to develop autonomous robot deployment systems that can perform NDT with minimum intervention by human operators. 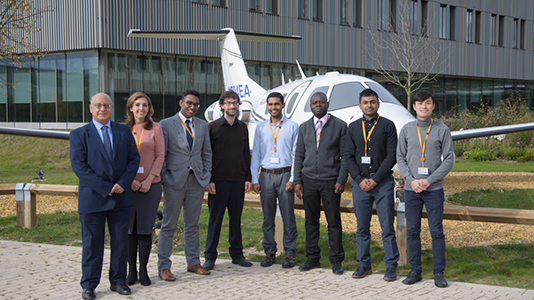 In addition further fundamental research in robotics and automation is being performed by PhD students funded by NSIRC, the Lloyds Register Foundation and London South Bank University. Since it was established in 2015, the Centre’s research has won 11 awards for innovation in industrial robotics and has been selected by the Royal Society and the Royal Academy of Engineering for its science and engineering exhibitions. It has also attracted £1.6 million in research funding. LSBIC’s wall-climbing and swimming prototype NDT robots developed together with TWI during previous European framework programmes are now being engineered toward the final technology readiness levels (TRLs) with grants from the Horizon 2020 Fast Track to Innovation Pilots. LSBIC is on course to commercialise at least three robotic NDT systems within the next three years.